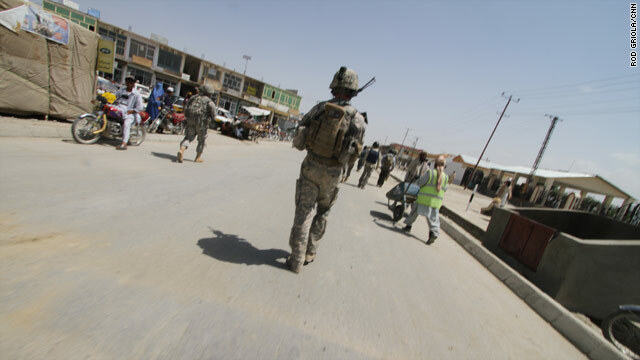 A member of the 101st Airborne Division, Task Force Currahee, patrols a street in Afghanistan in July 2011. CNN is archiving this blog but you'll continue to find Afghanistan news, features and analysis at CNN's Global Public Square, Security Clearance and news topic page. Thanks for reading the blog, adding your comments, submitting iReports and sharing all your views on topics that ranged from U.S. troops and battles to the life and culture of the Afghan people. Take a look at some blog highlights below, and thanks again for being a part of the blog over the past two years. Once again the talks about talks with Taliban are gaining momentum. It got hyped when President Hamid Karzai announced a Peace Council to talk with the insurgents. This is apparently the most serious attempt, but the process is a complex one, as shown by the contradicting media reports. Editor's note: Khalil Nouri is the co-founder of New World Strategies Coalition Inc., a native Afghan think tank for political, economic and cultural solutions for Afghanistan. Michael Hughes is a journalist and blogger for The Huffington Post and Examiner.com. He is also a strategist for the New World Strategies Coalition. The statements and opinions expressed in this guest blog are solely those of the authors. President Barack Obama doesn’t have a viable Afghanistan exit strategy due to a fatal flaw in America’s policy development process: a complete lack of input from native Afghans. It is time for the U.S.-led coalition to realize there is only one solution for peace in Afghanistan – and that is an Afghan solution. The alternatives bandied about to date are formulas for state collapse – a nearly 10-year-old failed counterinsurgency effort; a power-sharing arrangement that would divvy up Afghanistan between corrupt government officials, Islamic fundamentalists and mujahideen warlords; and a partition strategy guaranteed to yield perpetual civil war. Afghan President Hamid Karzai on Thursday launched a council to help negotiate with the Taliban and find a way for peace. Karzai told the group, made up of about 68 Afghan clerics and elders, that it can help establish peace in Afghanistan. The peace council meeting is one of several addressing the war in recent days. Political figures from Pakistan and Afghanistan were also sitting down this week in Kabul for a dialogue aimed at ending the nine-year-old Afghan war, in what one Afghan official called a "new phase" in building bridges and making peace with the Taliban. But a Taliban spokesman told CNN that the group was not interested in peace talks. Zabiuhullah Mujahed, the spokesman, said they had no representative in the alleged negotiations in Kabul. Peace negotiations would not happen until the Afghan government met the Taliban's precondition to withdraw foreign forces in the country, the spokesman said. What do you think? Is negotiating with the Taliban a good idea? Can a peace ever be met with the Taliban? 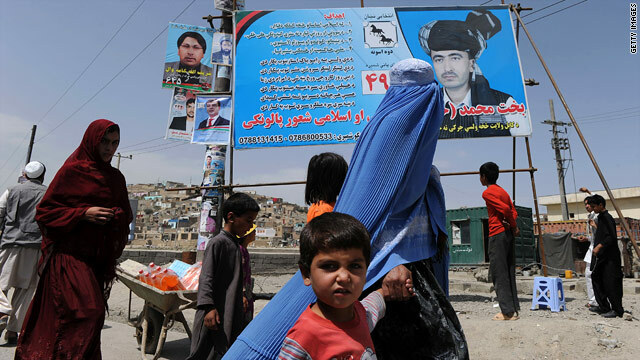 Can lower level Taliban leaders be brought into the political and social fabric of Afghanistan? Your views: Is the war worth it? CNN International held a live special report on the future of Afghanistan on Thursday. There was also a live online discussion at the Connect the World blog link here so please continue to share your comments. We have two topics that we want you to voice your opinion on: 1) Was the war in Afghanistan worth it in the first place and 2) what does the future for Afghanistan hold – can the war ever be won? Your view: Why haven’t we found bin Laden yet? Osama bin Laden: remember him? Where is he, and why hasn't anyone captured him? Nearly nine years after the September 11 terror attacks, a new CNN/Opinion Research poll finds that a record number of Americans believe the United States is unlikely ever to capture or kill Osama bin Laden. Today, 30 percent of Americans now believe it is likely the U.S. government will ever capture or kill bin Laden. Sixty-seven percent believe it is unlikely. In 2001, one in five Americans believed the government would be unlikely to catch bin Laden. And there is still a $25 million dollar reward for his capture by the FBI. Late last year, the U.S. government admitted a "lack of intelligence" on bin Laden's whereabouts, noting he could be in Afghanistan or Pakistan.